We are ready for Rally Navigator Beta testing to get feedback. 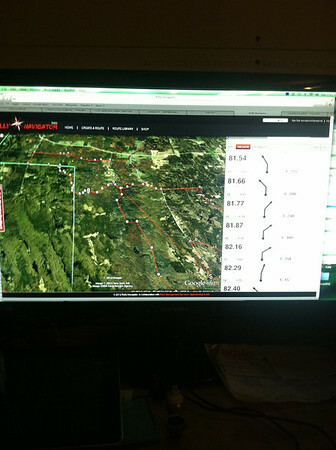 Rally Navigator is a new, simple way to create Rally routes and print roadbooks. Using the power of Google Earth and your GPS, you can create, print, and share a Dakar-style roadbook. As usual we were hoping for more progress, but have run out of time as Dave (GSNorCal) is headed off to Peru for the Dakar Rally tomorrow (Wish I was going with him!!!). That said, it looks pretty good! I would like to get 5-10 new users testing the program, get some feedback, make updates and then let another additional group of users take a test drive. I would appreciate all constructive feedback as we continue to develop this project. Sorry for the cross post - If I violated the ADVRider code of ethics - Feel free to NUKE. Mike, Sent you an email yesterday. If you didn't receive it let me know, I'll resend. sent my email yesterday ? I sent an email yesterday as well. I hope I can help out with testing. Sent you an email !! Wow, great program so far! I just uploaded a GPX file to mess around with. Have been using it in chrome, wondering at the (lack of) speed, will try in Firefox. The ui is amazingly awesome! Hey: I just resent the email I sent yesterday. Hope to hear back. The Pine Barrens 300 routes are perfect for this. Is it just me that having problems with Google Earth-plugin right now? Re-installed G.E. to recomended version (had the newer one installed) and now it won´t start in Rally Navigator? You need to run the old version of GE, the 6.2 Beta. Re-installed again and working now. Firefox is a game changer, I was running it in Safari and it was slow as hell on my Mac.